The Supers are back this weekend to save the day and the box office. Experts are already predicting a large turnout at the box office, according to Variety. The Disney Pixar sequel is expected to bring in somewhere between $125 million and $140 million for the North American region, which would make the highly anticipated adventure the best opening weekend ever for an animated film. Currently that title belongs to another Pixar sequel, Finding Dory, which launched in 2016 with $135 million with an additional $1 billion worldwide. The 14-year sequel picks up after the first Incredibles left off where all supers are banned from using their powers in order to live a normal life. But when Elastagirl is enlisted to help bring supers back, Mr. 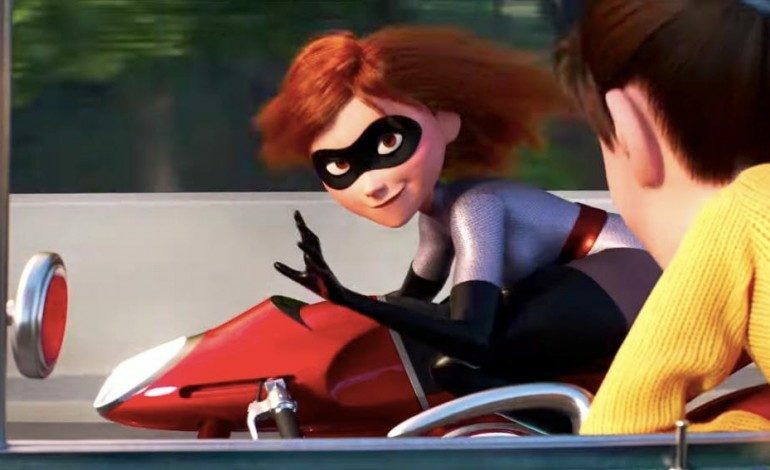 Incredible must take up the role of stay-at-home dad to care for their kids, Violet, Dash and Jack-Jack. The film also stars the voice talents of Samuel L. Jackson, reprising his role of the family’s trusty friend Frozone as well as the additions of Bob Odenkirk, Catherine Keener, Sophia Bush, Phil LaMarr and Isabella Rosellini as new voice characters. Incredibles 2, written and directed by Brad Bird, who wrote and directed other films including the original Incredibles and Ratatouille, is predicted to bring Disney back to the top after Solo: A Star Wars Story disappointed last month with a $178 million debut. Meanwhile, there are two other films looking to earn a little spotlight this weekend, though Incredibles 2 looks to be an easy win. Warner Brothers and New Line’s Tag, an R-rated movie base on a Wall Street Journal profile about grown men who play a long standing game of tag as an effort to stay connected, is also in the running. The film stars, Ed Helms, Jake Johnson, Jon Hamm, and Jeremy Renner. And the third movie, the Superfly remake, got a head start with a Wednesday opening estimating between the $7-15 million debut in over 2,200 locations.